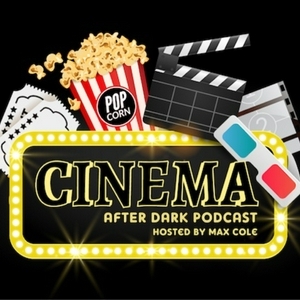 The Cinema After Dark Podcast @cinemaafterdark is a weekly show, hosted and produced by filmmaker, Max Cole @maxcolefilms. We feature working members of the independent film, television, and entertainment industry. We engage our guests and listeners with a variety of thought-provoking topics and serve as a promotional vehicle for entertainment enthusiasts. Please spread the word and subscribe today. This show is currently on a break due to Max's upcoming production schedule. Show music by Chris Goodhall @chris_goodhall. Max sends a shout-out and shares an update with guests and to everyone that has listened to this podcast. Thank you for sharing this podcast with friends, family, and colleagues. Please use the links below to continue spreading the word. Keep filming! I greatly appreciate your support! Ramsey Denison discusses his transition into the editorial side of broadcast television. What does a normal day as a television editor look like? Find out in this episode. We discuss his latest documentary, WHAT HAPPENED IN VEGAS, and how a concerned call to 911 led him to be harassed by the Las Vegas Metropolitan Police Department and thrown in jail. Ramsey walks us through the production process of this compelling documentary and he shares the complexity of using drones during production. We discuss the tragic deaths of Trevon Cole, Erick Scott, and Stanley Gibson — each killed by the hands of police officers. Ramsey claims that some police officers receive six weeks of vacation or more after shooting and killing someone. We also discuss a fantastic retired police officer that build alliances with communities, which decreased the crime rate. You DO NOT want to miss this episode! Max gives a shout-out to guests and to everyone that has listened to this podcast. Also, thank you for sharing our podcast with friends, family, and colleagues. Please use the links below to continue spreading the word. EP101 | Feat. Armie Hicks Jr.
Christopher Goodhall makes his 2nd appearance on this podcast. We discuss our recent collaboration and the work he put into the creation of the new bumper music. Chris then shares the methods he uses to create a score. We talk about the uniqueness of the collaboration between filmmakers and composers. Do film composers need to reside in the same city as the production to collaborate effectively with filmmakers? We explore the answer to this question during this episode. During the break, Chris shares a special treat – a fantastic score that he composed exclusively for this podcast. Chris also mentions the new R-rated sound that he’s developing in 2017. He also shares some of his hobbies.